About 10 days ago, Salomon brought the media together for the launch of the Synapse Asphalt. 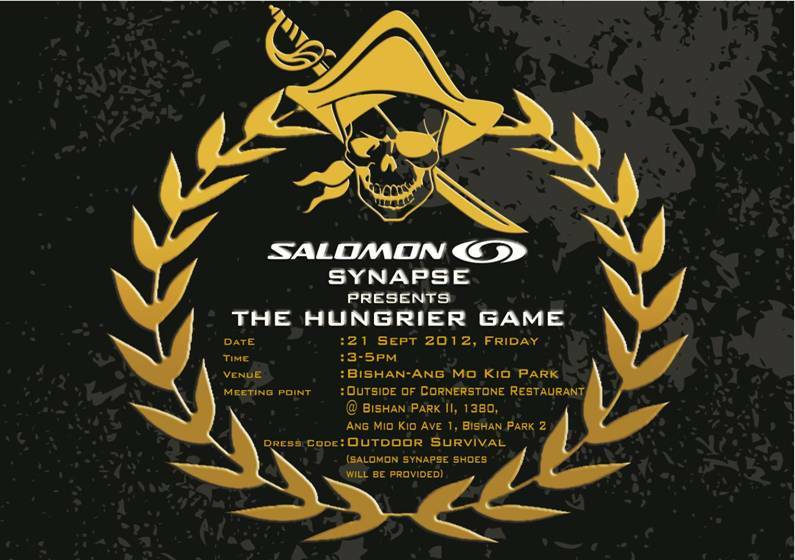 Being Salomon, this wasn’t any ordinary press event .. the Synapse was introduced to us by way of ‘The Hungrier Games’. We all donned a pair of the Synapse (also comes in a female specific fit, perfect!) and were ushered off to a pavilion in Bishan Park. After a short briefing and a practice session, the Games began. In true Hunger Games style, we had to run and search for hidden laser tag guns, then ‘kill’ everyone … last (wo)man standing was the winner. 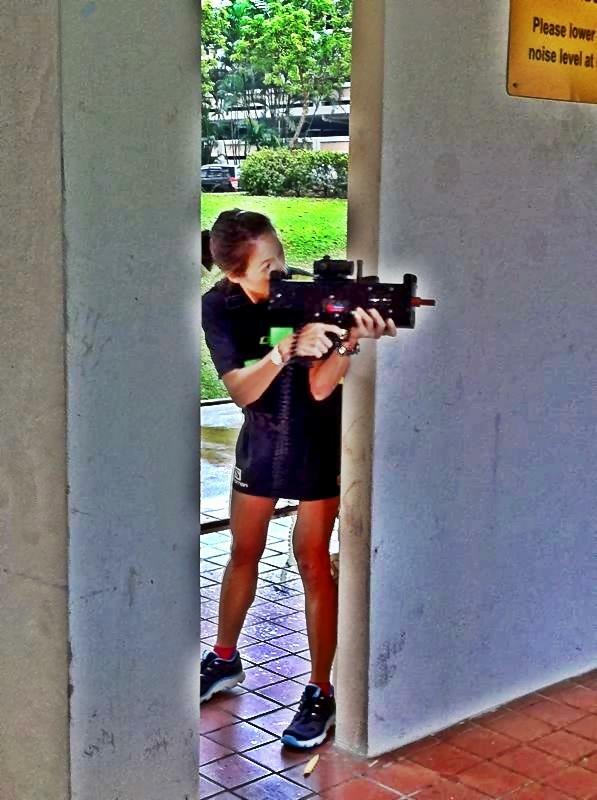 Kudos to Salomon for an adrenaline filled afternoon .. it really was great fun, and the perfect demo for the Synapse. The laser tag was very kindly provided by John Lim of Tag Team Inc. The crew were informative and helpful, and the game really appealled to us competitive types! fluidly on a variety of surfaces and terrain, provide cushioning and flexion, but are extremely light. The Synapse Asphalt comprises three unique elements. 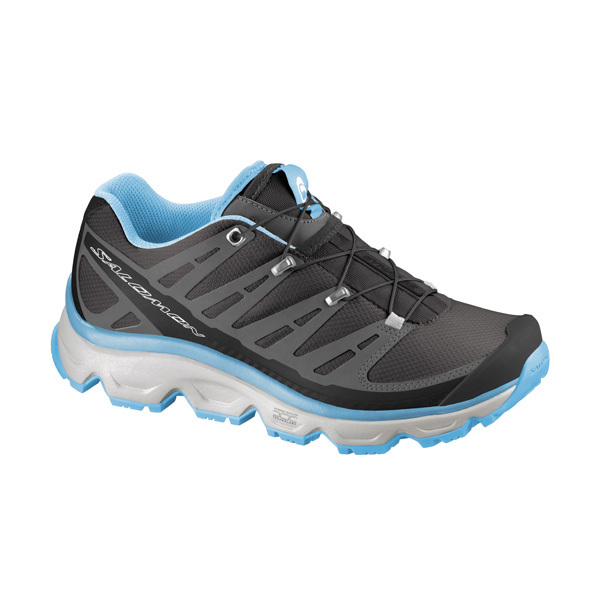 Dynamic Ride, a very light OS Muscle provides light, flexible cushioning. OS Tendon adds rebound into the sole to keep you moving from stride to stride. The next element is called Dynamic Traction, a combination multi-directional grip and staggered, reversed lugs help maintain full contact with the ground for great traction on any terrain or surface. Add a high abrasion rubber compound, and the Synapse will grip to everything from scree to rock to soft ground and mud. Finally, Dynamic Rolling is created when the first two elements combines with a high heel drop. The sensation is that your shoes help your feet keep going, a little faster than they otherwise might. The upper is made with welded Sensifit and Quicklace, providing precise fit, outstanding foot hold and easy adjustment. There is a toe cap and mud guard for protection for good measure. Priced at $209, the Synapse Asphalt is exclusively available at Salomon store @Velocity, selected World of Sports and World of Outdoors stores.